Ellen King was born and raised in Denali. Ellen has been on a dog sled since she could stand up! She completed the Junior Iditarod in 2006, where she obtained 3rd place and earned Rookie of the Year, as well as running again in 2007. 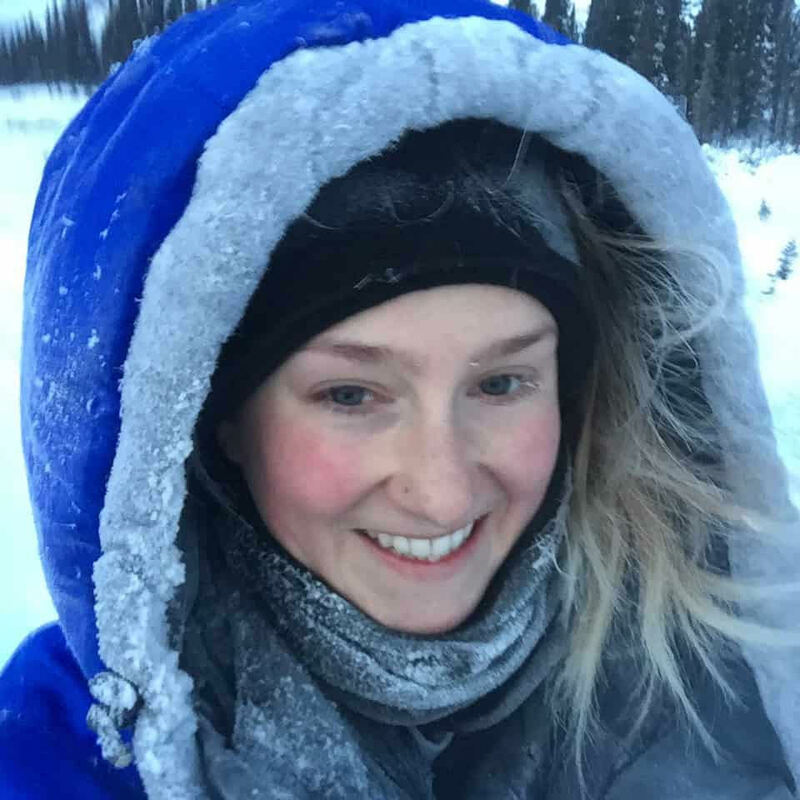 Ellen has also completed several other long distance races, including the 2017 Kobuk 440 and 2018 Knik 200. In addition to growing up mushing, Ellen also took dance lessons for over six years and spent her last two years of high school studying dance at Idyllwild Arts Academy in California. This took her on some epic adventures all around the world traveling with a dance group called Young Americans. In 2017, Ellen decided to come back to Denali and resume working at Husky Homestead. She still dances any opportunity she gets and loves mushing during the winter!